Europe’s fastest growing semi-trailer manufacturer Kässbohrer will be exhibiting a set of innovative and digital examples from its wide product range and presenting its broad semi-trailer services to the mobility, transportation and logistics world at the upcoming 67thIAA Commercial Vehicles Exhibition. During the 67thIAA Show, Kässbohrer will showcase the examples of its wide product range and Kässbohrer digital options, each with brand new features at three different exhibition halls from 20-27 September in Hannover, Germany. Kässbohrer’s 67thIAA theme slogan is “Towards The Next 125 Years”, which shows that the company is determined to develop new technologies and to address the changing industry dynamics. Kässbohrer continues to extend Europe’s widest product range, from curtainsiders to tanks and silos, from low-beds and low-loaders to platform-semi-trailers and build on its services. 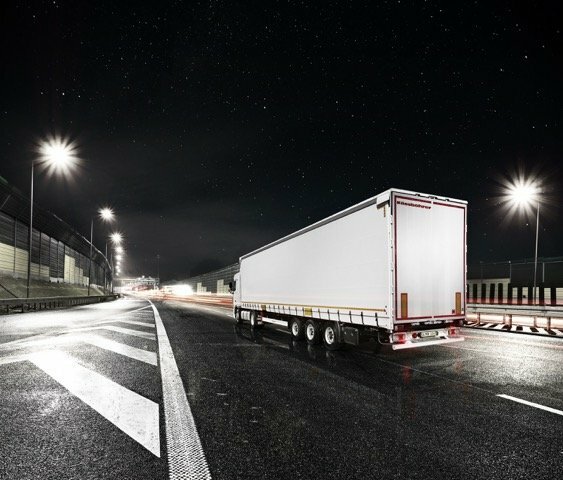 During the IAA, Kässbohrer will focus on how trailer innovation contributes to shape the future of the industry in areas of connected vehicle, automated driving, urban logistics and transport services. “Due to our open approach we have won 2017 Innovation Award in Safety Category with Hoyer Bitumen Logistik GmbH and we proudly work in a consortium, supported by European Commission, for the goal of decarbonization and sustainable transport,” Ms. Türken added. Kässbohrer incorporates the latest technology into its products and services to improve the customers’ operations. Kässbohrer’s digital options are being built on Kässbohrer Digital Trailer Control (DTC) systems first presented at 65thIAA in 2014 that enable safer and more efficient operations. This year, Kässbohrer will showcase the updated DTC options on tipping and non-tipping silos at the fair. At Hall 27, Stand E11, Kässbohrer will be exhibiting 5 vehicles in total. There are: Intermodal curtainsider with Code XL certification K. SCS M, Advanced safety pack remote control tipping silo K. SSK 60, Multi-functional container chassis with octagonal center frame K.SHG AVMH, Curtainsider swap body K. SWAU C and 3 axle low-loader K.SLL 3. At Open Area L52, Kässbohrer will be exhibiting its tipper, K.SKS. At New Mobility World stage, non-tipping silo K.SSL will be performing daily live demos, demonstrating Kässbohrer’s autonomous discharge system.